Psoriasis is a common inflammatory skin condition that is characterised by red, inflamed, dry, scaly patches of itchy skin. It affects 2% of the population in western countries. Considering the inflammatory nature of this skin condition, it is no surprise that foods and supplements rich in anti-inflammatory Omega-3 fatty acids such as cod liver oil and oily fish are attracting interest as potential remedies. All the three fatty acids are polyunsaturated fats. However, our primary focus is on two Omega-3s – the EPA and the DHA. These fatty acids are mostly found in fish and shellfish and are of particular interest to researchers because of their anti-inflammatory properties and benefit to brain growth. Omega-3 plays an essential role in healthy growth, development, and brain function. They also help to reduce the risk of arthritis, cancer, diabetes, heart disease, and many other chronic diseases and inflammatory conditions like psoriasis. 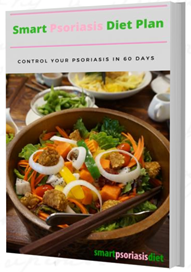 They are the most proven remedies that many doctors recommend for psoriasis. According to an Italian research study that was published in the Journal of Translational Medicine, people who adopted the traditional Mediterranean diet, especially one with high consumption of seafood, fish, extra-virgin olive oil and nuts were significantly lower in the group of psoriatic patients. In a different study, a group of patients with psoriasis was split into two categories. The first team was asked to eat 170 grams of white fish daily, while the other one was to eat 170 grams of oily fish for six weeks. The researchers discovered that the white fish had no statistically notable effect on the severity of psoriasis. However, a modest improvement was noted in the 2nd group that followed the oily fish diet. They concluded that regular consumption of oily fish that are rich in Omega-3-fatty acids might be a useful adjunct in the treatment of psoriasis. Omega-3 fatty acids help to alleviate psoriasis by reducing inflammation. Once they enter the bloodstream, they lubricate the body cells. This lubrication may have a healing effect on the cells, particularly those in need of it such as the brain and joint cells. • They help to reduce inflammation in the digestive system, circulation and entire body. • They help to boost your immunity. This is an incredibly nutrient-dense fatty fish with high-quality protein and a wide range of nutrients, including selenium, magnesium, potassium, and B-vitamins. Herring is a medium-sized oily fish. It is highly rich in Vitamin D and selenium. These are small yellow or brown seeds that are often ground to make oil. They are by far the richest whole food sources of Omega-3s called alpha-linolenic acid (ALA). Flaxseed oil is also used as an omega-3 supplement. The seeds are rich in fibre, Vitamin E, Magnesium and other nutrients. These are incredibly nutritious seeds. They are rich in manganese, phosphorous, calcium and other nutrients. Omega-3 content: 4915 mg per 28 grams. 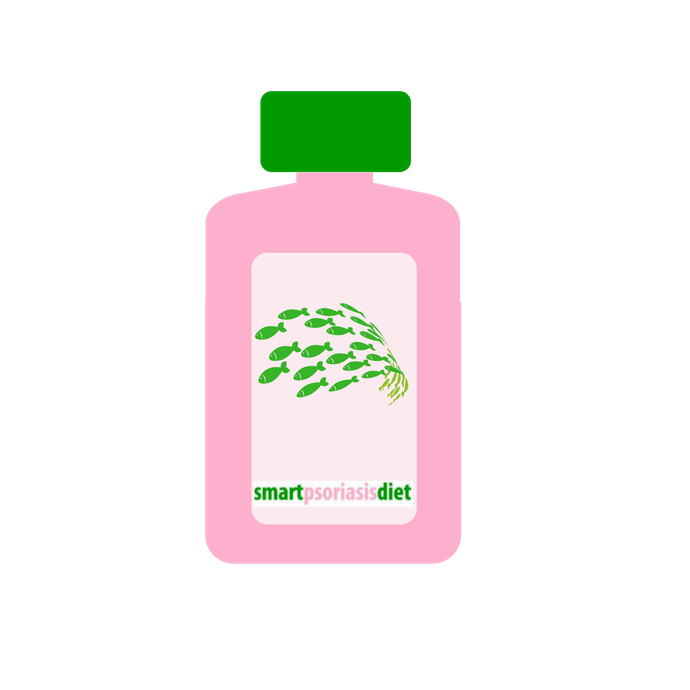 Do fish oil supplements help psoriasis? Several researchers put out a review of studies done on nutritional supplements that were used for psoriasis in the JAAD (Journal of American Academy of Dermatology) in 2014. Out of all the supplements they reviewed, the psoriasis patients got most of the benefits of omega-3 supplements. Although only a few of the studies found fish oil to improve psoriasis symptoms, those that did, involved high doses. Does a high dose yield the best results? According to the JAAD review, Omega-3 supplements improved the scaling, redness, and thickness of guttate and plaque psoriasis. However, these trials delivered intravenous omega-3 at high doses of between 8 to 21 grams of DHA and 2.1- 4.2 grams of EPA. This is in contrast to the typical fish oil capsule that comprises between half a gram of combined EPA and DHA. In other studies that used a lower amount of 1.2 grams of DHA and 1.8 grams of EPA, also improved the symptoms of psoriasis after three months of use. Which is a better source of Omega-3; Food or supplements? According to Philip Calder (professional nutritional immunology from the University Southampton in the UK) finding the right dosage of Omega-3 fatty acids with food can prove challenging. For instance, salmon delivers around 500 to 1200 mg of combined DHA and EPA per 6 ounces serving, which is substantially a lower level than what is used in most studies. Also, other plant-sourced Omega-3s like flax seeds and walnuts contain less powerful fatty acids than DHA and EPA and may not be enough to affect psoriatic symptoms positively. Researchers propose that taking oral fish oil supplements that contain 1 gram of eicosapentaenoic acid and half a gram of DHA daily for at least eight weeks may bring some improvement to your psoriasis. However, it is highly recommended that you consult your health professional first before you begin taking higher doses of omega-3 supplements. This is because higher doses of Omega-3 can cause diarrhea, gas, intestinal cramps, and nausea. Omega-3 supplement by Now Foods ensures the highest quality of its organic ingredients. Primary qualities of fish oil include that it helps cognitive functions, helps the blood sugar balance, supports healthy blood pressure and quality of sleep. The standard package contains 90/180/360 softgels, and the recommended dose is between one and two per day. Viva Naural Fish Oil is entirely organic and very easy to be absorbed. Viva Natural Omega 3 contains 800 mg of EPA (Eicosapentaenoic acid), which is higher than standard supplement and 600 mg DHA ( Docosahexaenoic acid) which plays a crucial role with regards to brain functions. Standard package contains 120 softgels; the recommended dose is two per day. Omegavia Omega 3 supplement is formulated with the highest quality of ingredients. It supports blood pressure and digestive system, and it helps to keep a healthy skin. Pills are coated to reduce odour and help digestion. The recommended dose is one pill per day; standard package contains 60 softgels. WHC UnoCardio is another Omega 3 supplement which also provides Vitamin D3 to help the immune system. UnoCardio is flavoured (naturally) with rosemary, which allows to mask the natural fishy smell. The package contains 60 softgels made from fish gelatin. Nutrigold Omega 3 gold triple Strenght formula contains premium fish oil concentrate, which makes this supplement one of Nutrigold's most successful product. Package contains 60 softgels. Packages might be different in different countries.